There are countless scientific and psychological studies out there that prove all the good that traveling can do for both mind and body. It helps relieve stress, strengthens relationships, boosts self-confidence, and gives you a renewed perspective of the world – and even yourself. But we don’t need to look up the evidence, we feel it. This is why for most of us, the idea of getting on a plane for an adventure fills us with excitement. We get to go to a beautiful destination, whether it’s a quick 3-hour flight away or halfway across the world, and take respite from the pressures of our daily life. But this isn’t going to be possible if you’re traveling with a bag that’s holding you down. After all, you’re supposed to be enjoying a temporary escape from stress. How can that be possible if your bag is stressing you out? While most of us take great pleasure in the art of travel, far too many of us also underestimate the importance of investing in good luggage. If you’re serious about travel, then you should also be serious about your number 1 traveling companion: your bag. Choosing the wrong bag for the journey can lead to several mishaps: your valuables getting soaked in the rain, spending far too much time than needed at airport security, losing your belongings to theft, and so much more. This is especially crucial if you’re traveling far from home, in a foreign land or unknown territory. The last thing you need is to worry about your bag when you have to navigate a strange city or make friends in a place where you can’t speak the language, right? Say no more: The Nomatic 40L Travel Bag has heard the plight of discerning travelers. This water resistant bag has a spacious 40L capacity, and it has been designed to fit the maximum allowable size for most airline restrictions. It’s the perfect carry-on bag for long trips, but it can also serve as your reliable travel companion with adequate space for a 3-7-day long trip. Best of all, it’s versatile: it can be used as a backpack or transformed into a duffel bag. Nomatic is a brand that takes pride in creating functional gear for people who live an active lifestyle. 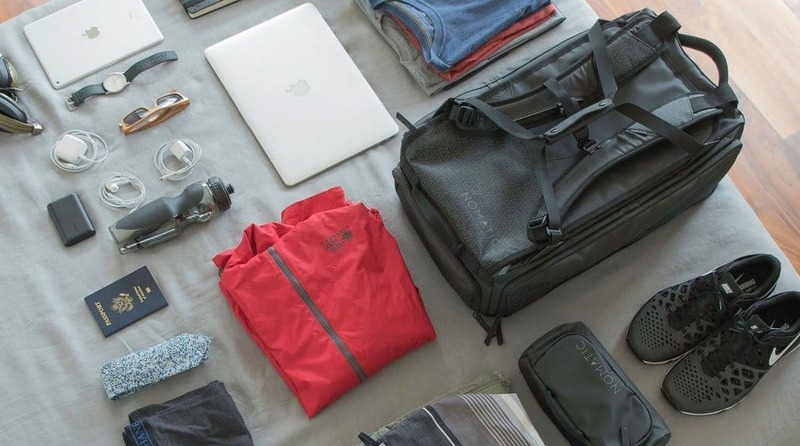 True to their name, they cater to nomadic types who are constantly on the go, people who need bags and gear that can keep up with the demands of travel. 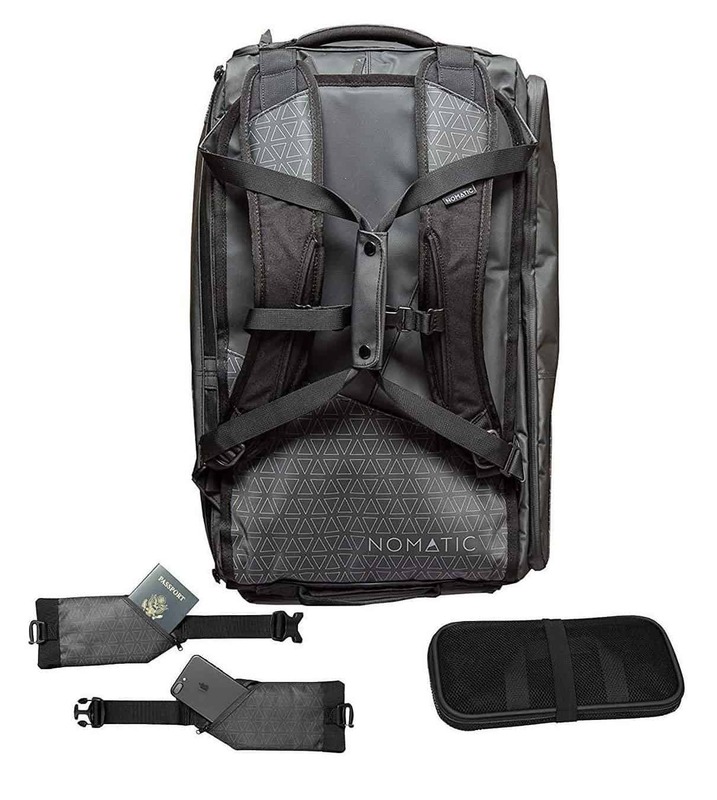 The Nomatic 40L Travel Bag is the ultimate travel bag, whether you’re traveling for business or for pleasure. Its capacity can hold enough items for a week long trip, but its TSA compliant size also makes it the perfect carry-on backpack or duffel bag. It can withstand all the elements no matter how rough, thanks to its ultra-durable tarpaulin material, a fabric that is commonly used in the most rugged bags because of its ability to effectively withstand harsh conditions. Measures 21 x 14 x 9 and weighs 4 lbs. The Nomatic 40L Travel Bag has all the features that even the most discerning, demanding traveler could need. It’s like buying two bags in one: you can use it as a duffel bag or a backpack whenever you need either. Detachable waist straps help you balance out your load, especially when you’re using the backpack to its full capacity. These straps also have two waterproof pockets to safely keep your most important possessions, such as smartphone and travel documents. It comes with a minimalistic laundry bag that ensure your clothes are clean and organized as you travel. All in one tough waterproof bag! According to reviews, users are pleased with how much this bag can hold. Even when used to its full capacity, the Nomatic 40L Travel Bag is comfortable to travel with thanks to its shoulder straps. As a bonus, it’s easy to travel with it on flights if you need a bag that you don’t have to check in all the time. Users have also expressed in reviews their satisfaction about how well the bag holds up even when used for months in a row. The durable tarpaulin material protects it from visible wear and tear. Additionally, the reviews come from people who have gone on all kinds of trips; many have said how suitable and versatile this bag is for all types of travel, true to the Nomatic 40L being the ultimate traveler’s bag. However, some customers who purchased the bag are disappointed in the limited capacity of the bag when it comes to laptops. Anything slightly larger than a 15-inch laptop can’t fit in it. Some also found the bag too large for daily use and say that it would have been better if it had expandable features. Overall, if your priority is space, ease of use, and versatility, the Nomatic 40L Travel Bag is a great investment. Its extra-durable material makes it among the best in its class, ideal for individuals who tend to go on rugged trips or simply need a bag that will last for many years. 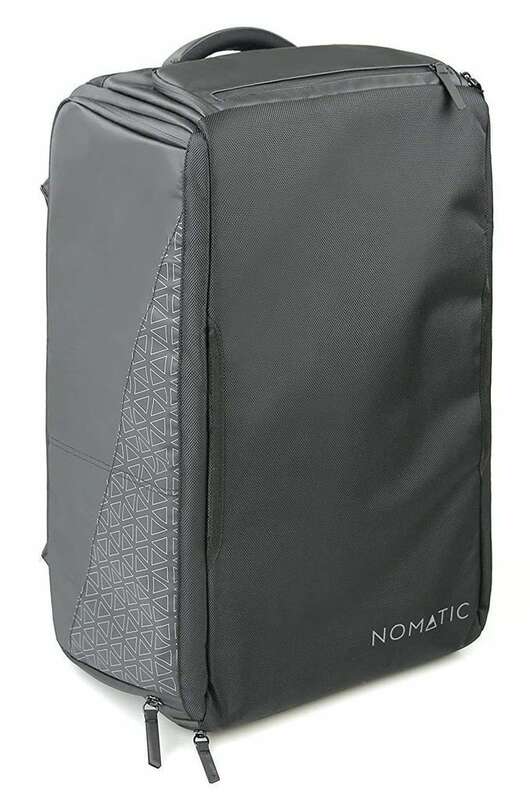 The Nomatic 40L Travel Bag is available on Amazon at a great price, so make sure to order yours today. It may be a little more expensive considering there are others that are more affordable, but this bag is in a league of its own when it comes to durability. Order your bag today from Amazon and it will be delivered to you within a few days. Finding an excellent all-around travel bag can be tricky. But the Nomatic 40L Travel Bag is one of the few that has stood up to the test. It’s spacious, multi-purpose, and makes traveling a breeze. Because it’s built to last, you may never have to buy another bag as long as you have this one. Whether for city, travel, or outdoor use, this bag ticks all the boxes. It keeps your valuables safe from the elements, and it has a professional look too. The makers behind the bag have designed it for those who live a nomadic lifestyle, and it certainly is the best in its range for those who require a bag that can keep up with your travels.